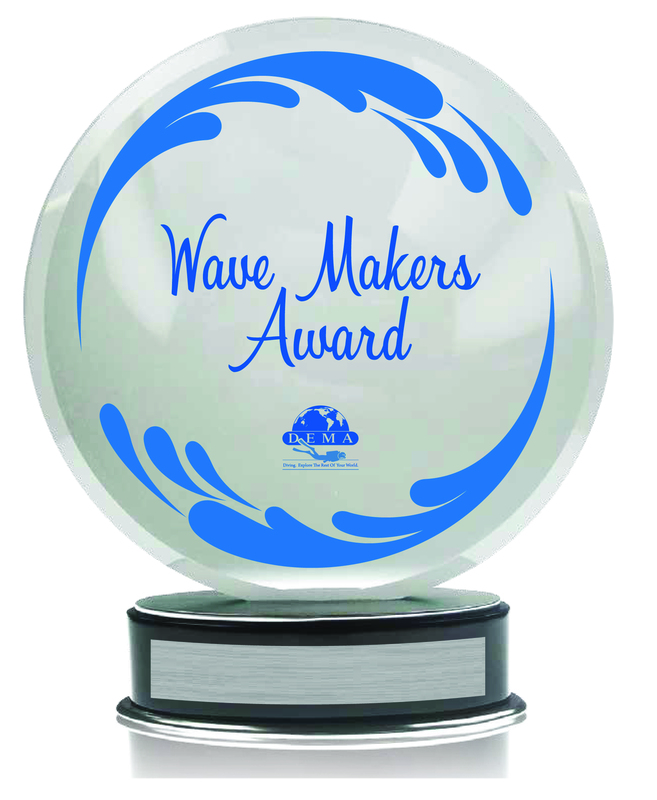 Voting Now Open for the 2018 Wave Makers Award! DEMA will once again recognize new professionals in the diving industry who are employed by (or own) a DEMA-Member business by honoring a recipient with the Wave Makers Award at the annual DEMA Awards Party! The Wave Makers Award was first introduced in 2017 and aims to recognize professionals who have been working in the industry for five years or less and have made a significant contribution to the industry during that time. The Membership of DEMA chooses the 2018 Award recipient by viewing and voting for the finalist of their choice, based on the finalist’s brief biography and a short video that the finalists submitted. Voting for the 2018 Wave Makers Award is now open to DEMA Members! Log in and cast your vote today! The deadline to vote is 12:00 p.m. Pacific Time on Thursday, November 8, 2018. Click here to review the 2018 Wave Maker nomination submissions, nominee videos and CAST YOUR VOTE! VOTING IS OPEN NOW UNTIL 12:00 p.m. Pacific Time on NOVEMBER 8, 2018! LOG IN AND VOTE TODAY! Four finalists and the new professional chosen as the first of the Wave Makers will be honored at the DEMA Awards Party being held on Friday, November 16, 2018 in Las Vegas, NV at the Las Vegas Westgate Resort Ballroom. Complete DEMA Awards Party details and tickets are available on the DEMA Show website.